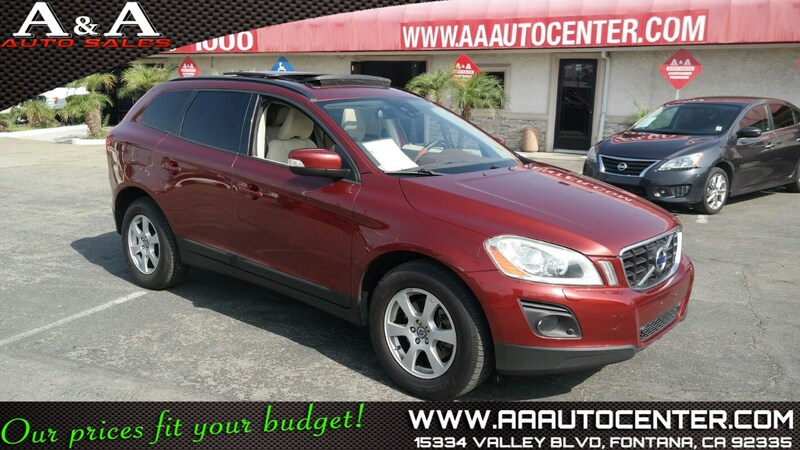 This gorgeous 2010 Volvo XC60 is going to turn heads wherever you go in Red over Tan interior! Our XC60 is a home-run thanks to its combination of convenience, safety, style and Front Wheel Drive performance. Our Volvo is brought to life courtesy of a 3.2 Liter 6 Cylinder. This engine quickly produces 235hp that make getting where you need to be a breeze! Check out our gorgeous pictures of this XC60! You will notice the supple leather seating with adjustable upscale seats, panoramic sunroof, passenger climate controls, and the multi-function steering wheel. This Volvo is also a family hauling machine and has all the bases covered to get you around in style, comfort, and safely! Don't let this one get away! This XC60 has a distinctive design inside and out, lots of interior space, many safety-oriented features, and a long list of standard equipment! Print this page and call us Now... We Know You Will Enjoy Your Test Drive Towards Ownership!